Read below to see what other satisfied customers are saying about Gary's Automotive Service Center in Laurel, MD. We're proud of our online reputation. Read below to see what our customers say about Gary's Automotive. Want to know more about us? There is nothing more convincing than the unbiased, honest opinions of our customers. Check out our public reputation on a large number of social media websites and when you become one of our highly pleased customers post a review on any website you like (we prefer Google reviews). I found Garys Automotive thru a friend and I will not go anywhere else. Even my kids that live out of state bring their cars here. You will never find a more trusting and dependable shop. Everyone there is very personable and caring not only of your car they take the time to get to know you. I have nothing but trust in the staff as well as the mechanics, Jr and Matt are very knowledgeable and they love to take the time to explain what's going on with your car so you feel comfortable. Excellent service, quality workmanship, reasonable pricing, and honest. They were patient and helpful in an unusual circumstance and made it easy to get the work done. You won't go wrong working with them. I have been a customer of Gary's for about 12 years now. I have yet to be disappointed with the level of service and courtesy I have received. No mater who you talk to, it always seems like you are talking to a friend and neighbor. You vehicle is repaired right the first time and they follow up on their work. I brought in my 03 Escape for an exhaust problem and after they fixed it, it sound like almost new. After dealing with dealership repairs for years, this is my "go-to" repair facility. Gary's Automotive is highly rated for a reason. They're more affordable than the dealerships, they get the work done, get it done right and don't try to pull underhanded stunts on their customers. They have earned my business and I will continue to use them for any future vehicle. I badly needed an inspection and found Gary's. Before I even had an appointment set, I spoke with Gary and he explained to me what were requirements on the inspection and what was up to the discretion of the inspector. Basically, I was able to walk in to my appointment knowing that my car would pass because we had already discussed the issues my car had. He was quick, on time, and professional. I am one very happy customer! "Such a great company! They had quick service and were very thorough. This will definitely be my go-to place for car repairs and maintenance. " "What a great group of honest, hardworking people. One of the things that attracted me to this place was the concern management placed on providing great customer service. After reading the reviews, I took a chance and went in for a Maryland inspection. I was pleased to find that they weren't trying to rake me over the coals with erroneous repairs. They gave me a fair list of corrections and fixed them on the spot. I was good to go in no time. Really happy with my visit and will definitely go back for servicing. Thanks guys! " "They diagnosed the reason my Check Engine light came on and determined it did not require an urgent fix, so I can budget for when I can afford to get it repaired. Using their online coupon made it a zero cost visit. Good service, a reputable diagnosis and no pressure for an immediate repair. I highly recommend this group. " "I brought my car in to have the wheels replaced, all 4 had been badly damaged by potholes. The staff at Gary's are incredibly friendly and accommodating and go above and beyond to meet your needs and make sure your car is well taken care of. They did not try to upsell me and actually took me under my car to show me exactly what was wrong in detail so I would understand what the problem was and what had to be done, and they were very good about communicating during the process of the repairs. They are a small, family-owned business that treats their customers with respect and honesty and I will definitely be taking my car there for all future maintenance and repair. The waiting room even has complimentary snacks! " "So I recently purchased a 2016 Honda Accord V6 coupe. After checking out their site stating expertise in Toyota and Honda then reading such rave reviews online I thought I'd give these guys a shot at being my go to local shop... it's one mile away from where I live which makes it even more convenient! My car actually has about a year left on warranty, but I felt these guys really care about their customers and would provide better service than the local dealer. I received a call at 915am to confirm I was still coming by 930, at which time I was. I then dropped off the car and walked home. Then just before 1PM received an update letting me know they were about to do a full inspection, then at 3pm let me know the car is actually in great condition and the only thing it might need is air filter and cabin air filter replacement which is just about right for a 2016 with 25k miles. They gave me a full quote and I said go ahead and do the work, so they did. Called AND texted me at 430pm, letting me know my car was good and ready to go. I can see exactly why they get the reviews they do, some really good people here and you can tell! The updates throughout the day really put me at ease, and they discounted me wherever possible which I thought was really fantastic. Great service at great pricing and a friendly vibe the minute you walk in the door, this is definitely my service shop from here on in." "Gary took care of all of our vehicles for almost 40 years." "Best service ever! Honest and professional auto services. Best to make an appointment before you go as these guys are busy taking care of loyal customers. Count my loyalty in!" "Very Quick, Very Professional & Highly Recommended! Pleasure Doing Business!" "Today was my first time here at Gary’s Automotive and I felt a sense of calmness immediately walking through the door! I’ll be perfectly honest and admit I had my guard up being a female, by myself not knowing a single thing about cars (especially from horror stories you hear about auto shops in general)! The staff and mechanics were SUPER nice, welcoming, and accommodating! Totally calmed my nerves! Gave great attention to detail and explained everything to me as it related to my repairs!! They even went a step further and sent mobile pics of the needed repairs, while recommending/advising me of repairs needed for the future. They were able to provide a full service repair in a timely fashion, and most importantly I’m able to financially survive after the cost of repairs! Lol! Clean facility and welcoming environment! Completely honest in their work and that’s super important! I wholeheartedly recommend Gary’s automotive to everyone who seeks repairs to their vehicle!" "I needed an A/C recharge and to have my brakes looked at (long overdue) on my 2006 SUV. Gary's Automotive was close to my home and reviewed very well, so I decided to give them a try. Everyone I spoke to was warm and friendly and everything was done in time and for the price I was quoted. I will definitely return to them in the future with whatever car I have." "Couldn't be friendlier, very trustworthy and prompt, couldn't recommend more highly." "I walked in to schedule an appointment for inspection and was greeted by an extremely friendly man by the name of Tony. We set up an appointment for later that same day and as promised, I received a text and a phone call letting me know my car passed and I could pick it up when ready. After payment and a warm send-off I can say the customer service at Gary's Automotive is far and away the best I've ever experienced at an auto shop! Thanks again!" "The absolute BEST energy I’ve encountered in a long time, in such an atmosphere that could be stressful. But not at Gary’s! Tony....you are the epitome of exceptionally over the top GRAND customer service with a smile and warm welcome to match!!!! See you guys again soon!" "Found this business on Google and checked out the Yelp reviews as well. The majority of the feedback and reviews I read were positive so I decided to give them a chance. I put in a request online and was immediately called back to set up an appointment the next business day. The shop was very accommodating and it was a super fast inspection. 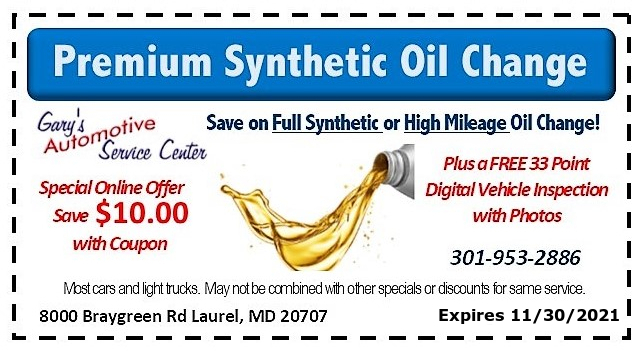 I highly recommend this business to any one who needs a Maryland state inspection. I am impressed they actually answer emails and voicemail messages. A+"
"Great place to take your car for repair or just regular maintenance. I scheduled my car for service on their website and that makes it very easy. Highly recommend Gary's Automotive." 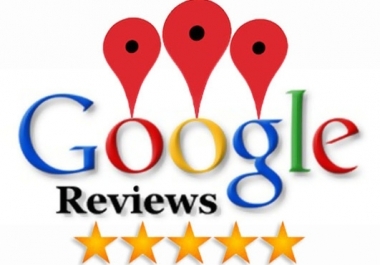 "The service that Gary's Automotive to be courteous, professional, reasonably priced. You truly felt welcomed." "What a great company! The people at the front desk are very friendly and helpful. They called me the moment my car was ready, and as usual the work was first-rate and the price very fair. SO good to have a company that can be trusted." "Great customer service, great prices, great work." "They diagnosed the reason my Check Engine light came on and determined it did not require an urgent fix, so I can budget for when I can afford to get it repaired. Using their online coupon made it a zero cost visit. Good service, a reputable diagnosis and no pressure for an immediate repair. I highly recommend this group." "Have been going to Gary's for more then 10 years, and have found their work to be very satisfactory. They are a family business and are very polite and courteous to work with. Has a nice family atmosphere. They do the work in a timely fashion and keep you informed if they run into another problem. They are very nice to work with and I will continue to use their services. A satisfied customer." "The customer service is amazing here! They are the most convenient auto shop I have seen providing text communication and even pictures of the parts of concern for my car. There prices make more sense then any other shop or dealership. I highly recommend this place to anyone who needs car maintenance done. I usually do my own repairs and maintenance but I am happy to pay for Gary's to work on my car!" "Family owned local shop that's pays attention to detail. Staff is highly trained and screened so that customers get the very best service for their cars." "Was able to do a walk-in for a state inspection, good customer service. Will be coming back if i need anything else done to my car." "Gary's Automotive is the place to go. They are very customer friendly, they keep you informed and they're pricing is reasonable. I was impressed with how fast they tested my truck, ordered the part and repaired it. I have found my auto repair home. I would 100% recommend Gary's auto." "Wow, the most complete and helpful service I've had in several years. The prices were very reasonable. Loved the experience." "My experience today at Gary's Automotive was fantastic! This morning, unexpectedly, my vehicle would not start. After doing some research I called Gary's Automotive and spoke with Kirk. He not only referred me to a towing company, but scheduled my car for service on very short notice. Everyone I spoke with at the shop was great. As a first time customer, this establishment quite possibly has the best customer service I have ever seen. I will definitely be returning for service on my vehicle if/when I need it. Also, as a side note--if you are fond of dogs, Willie, the chocolate Lab, is a real charmer!" "Had a really good experience here. The staff were all extremely friendly and I loved the atmosphere. The free snacks and drinks are also an excellent perk. I appreciate the vehicle report that they send with pictures and descriptions of what they found in my vehicle. They recommended some fairly expensive fixes (which I may get a second opinion on before I spring for the repair) but from what I was able to tell, the suggestions seemed reasonable. Again, I am very satisfied with my experience here!" "Great family- run shop. These folks give great service and really understand that it's YOUR money that's being spent. They are a busy shop, hitch is a good sign, but you might have to wait an extra day if the repair is involved. Prices are reasonable; not the lowest around, but the value is great. I will not hesitate to use them again." "The service was excellent from start to finish." "We've been taking our cars to Gary's for over 10 years and have always received excellent attention and service. Same thing with this recent visit. I had a problem that required immediate attention and Gary's was able to look at and repair my vehicle the same day I called. As always, they were courteous, sympathetic to my situation, accomodating to my schedule, and up front with the diagnosis of my problem and the cost to fix it. They even brought me coffee when I first arrived and drove me home (I live within a reasonable distance from their shop) when I couldn't wait the whole time for my repair work and had no way to get back home. Finally, they completed the work when they promised. Kudos to everyone at Gary's Automotive - Mark, Gary, Gary Jr., Beverly, and my mechanic - for another great experience!" "Best car service place in Laurel! The owners and staff are the most wonderful and kind group of people. I have taken my car to Gary's Automotive for about 10 years and have never had a problem after something has been repaired or an oil change." "I didn't think that personal, efficient, courteous and professional automotive establishments existed anymore until a family member recommend that I go to Gary's and I'm elated that I was put on the right path because Gary's is truly one of a kind! Everyone was charming, warm and personable and greeted everyone with a warm greeting and a smile that walked through their door. Each customer was treated as a friend and the best part is that everyone actually listened to the consumer. Gary's is #1 in my book! I have sent emails to friends to check Gary's Automotive out when their in need of vehicle service. My vehicle was serviced and I was in and out in no time not like other dealerships or automotive establishments where you sit for hours. Absolutely a Great Establishment! The staff employed by Gary's were warm, friendly and the best thing they were all genuine and you could tell that they actually like doing their jobs and interacting with their customers. I'd give Gary's and is staff a 100% + rating but the scale only goes to 10." "Outstanding customer service is an understatement describing the experience I had with Gary's Automotive. From looking them up on the internet to scheduling, canceling, then re-scheduling an appointment for MD State Inspection, to the actual face to face meeting, they treated me with the utmost respect, kindness, and hospitality. Not to mention, their rate for the inspection was the lowest that I found in the area. I've recently moved to the Laurel, MD area and I honestly thought I would have to continue to drive back to DC to have my car taken care of, but Gary's Automotive has proven they're an establishment that I can trust!" Click any image below to read more reviews posted by customers at Gary's Automotive in Laurel, MD!